The kitchen is a very important part of the home where food items and culinary activities take place. The kitchen is used for so much more than cooking, it is often the epicentre of the home used for entertaining and enjoying time with family and friends. 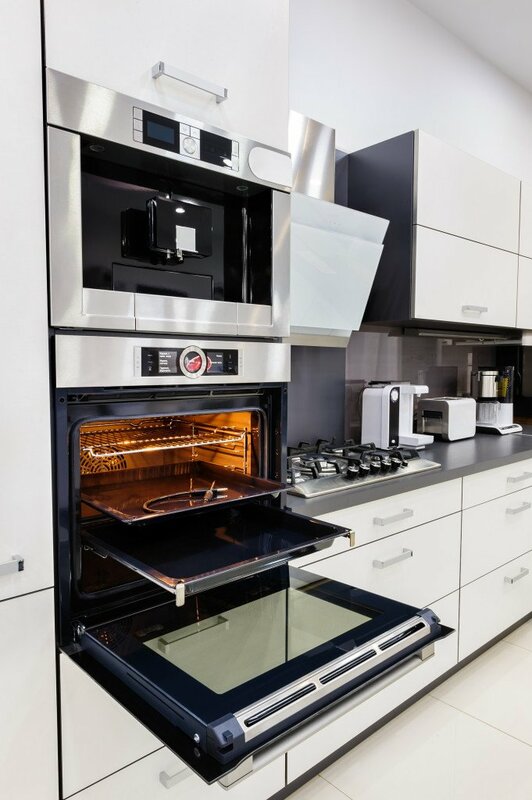 It is a place in the home that also needs safety consideration and other protection measures in its design because of the possible hazards that may happen in the kitchen. 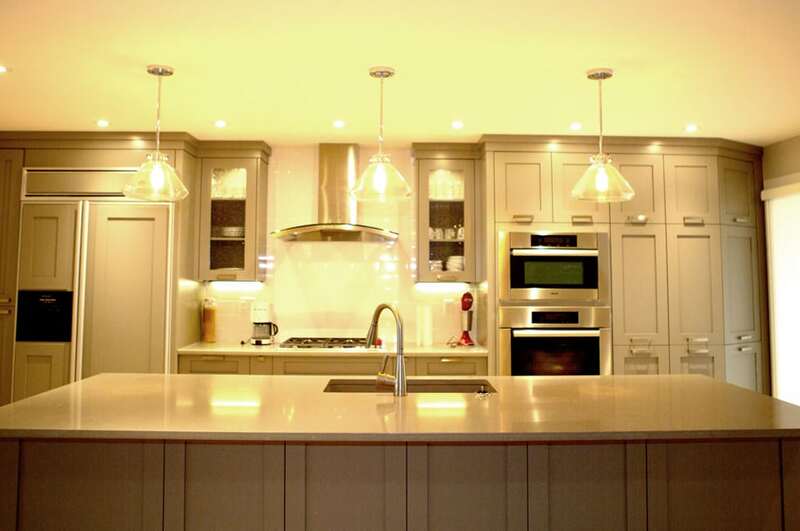 Kitchen design should consider both adults and children as part of people that frequently visit and use the kitchen with adequate measures are taken to protect the interest of all users of the facility. A kitchen design commonly utilizes a “working triangle“, the working triangle ensures the kitchen looks great and functions optimally. 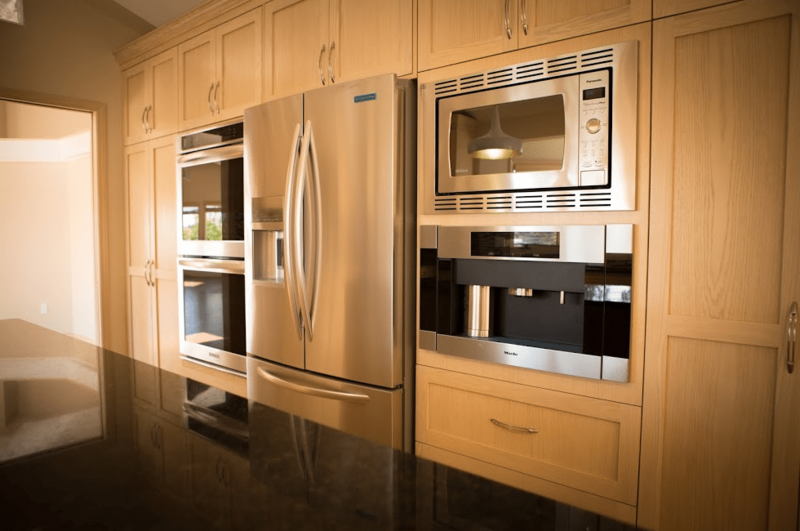 There are a variety of kitchen designs and styles to use for your home’s kitchen, and working with a contractor can help to determine the style and design best suited for you and your home. 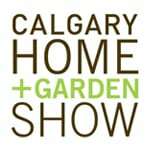 For help with kitchen design and kitchen renovations in Calgary contact Golden Acre Renovations. 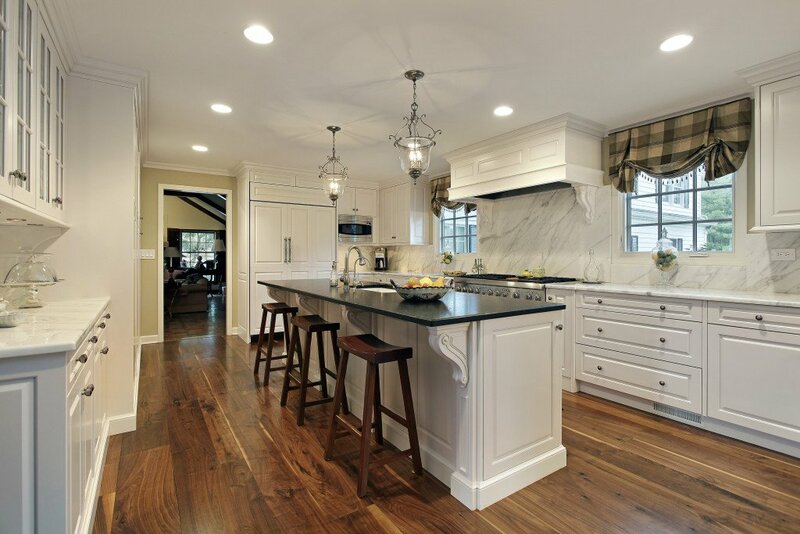 Types of kitchen styles and floorplan determine the point the arrangement or layout of the kitchen. The layout usually incorporates the working triangle, Golden Acre Renovations works with a range of designs and layouts, and we feature 5 common kitchen designs below. A One-wall kitchen is where the kitchen is a narrow room without windows, it is better to have this type of kitchen arrangement for apartments or small homes. All kitchen resources: fridge, sink, cooker, oven countertop, pantry cabinet and other cabinets are situated right along the single wall. The design will locate the sink in the middle of the kitchen keeping like items close to maximizing the use of the kitchen. The L-Shaped kitchen design is one of the more common kitchen layouts. An L-Shaped kitchen design is the most seen type of kitchen and seems the standard of many kitchen cabinets. When considering this type of kitchen, you better have enough space to effectively plan it out. It accommodates kitchen seats and table as well as other kitchen resources like refrigerators, sink, cooker, oven, pantry, and the dishwasher among other utilities used for cooking. 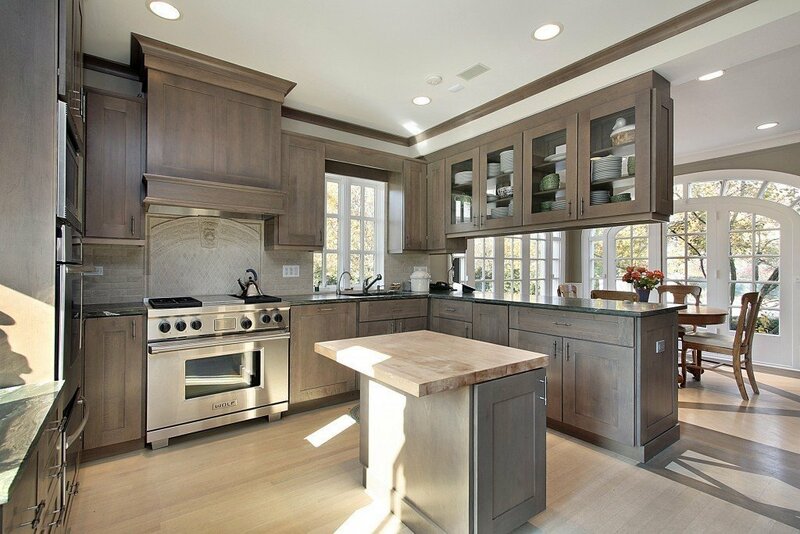 Galley kitchens are for large kitchen spaces. 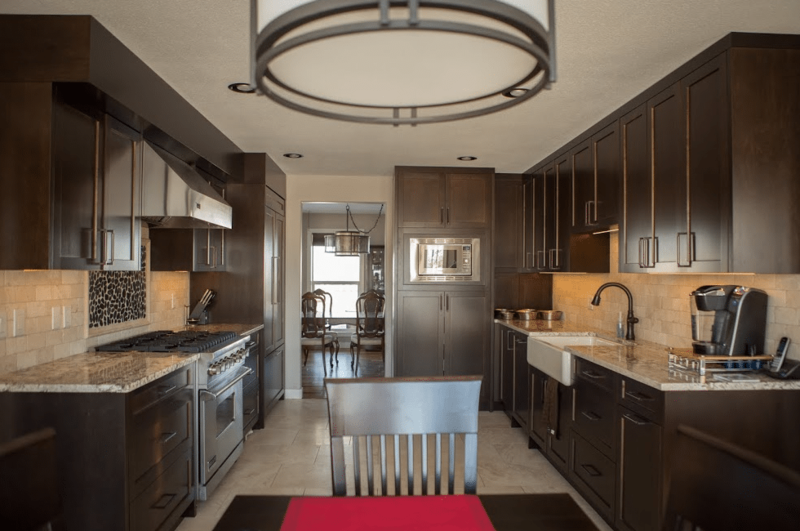 Whenever space is needed, a galley type of kitchen design is a popular choice. Most chefs and luxury kitchen designs prefer this arrangement because it offers them the space to display creativity and mobility without cause to worry about safety. Also called corridor kitchen design, it has two facing walls with the most kitchen resources while the third wall provides access to traffic and the fourth wall serves as part of the kitchen enclosure. U-Shaped kitchens have a lot of available space and can accommodate most floorplans. Apart from the point of entry, this kitchen design makes use of the three walls for kitchen use and services where resources are carefully arranged to provide unhindered access to increase the efficiency of the kitchen. Similar layouts can be arranged together to improve access and efficiency in the kitchen. It provides a spacious working environment in the kitchen to increase the functionality and ease of use. 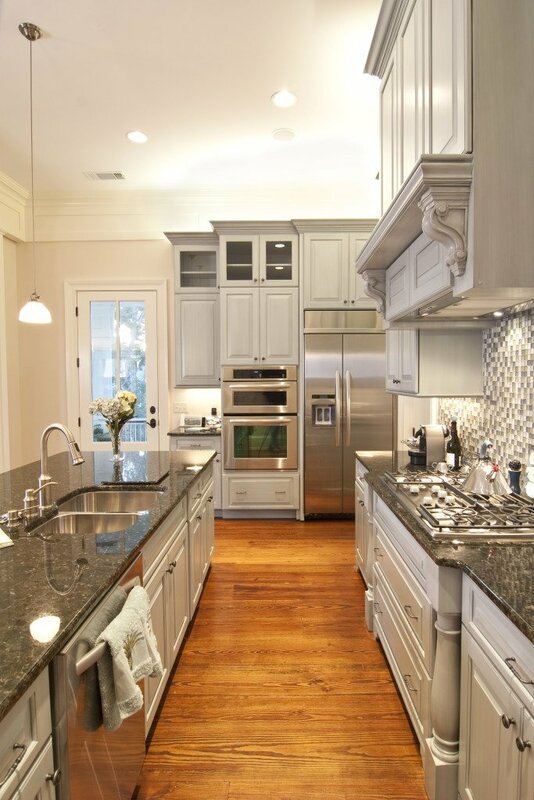 Double L or Island Kitchen Design has become increasingly popular and is frequently used in high-end kitchens. This kitchen arrangement brings the design of L-Shaped and One-wall kitchens in one cohesive design. This kitchen design tries to achieve more with the available space and gives the homeowner the opportunity to socialize while cooking in the kitchen because of the closeness of the kitchen to the dining or living area of the house. In term of efficiency, the kitchen is equipped with two workstations to facilitate easy culinary activities while the cook enjoys himself in a world of its own. 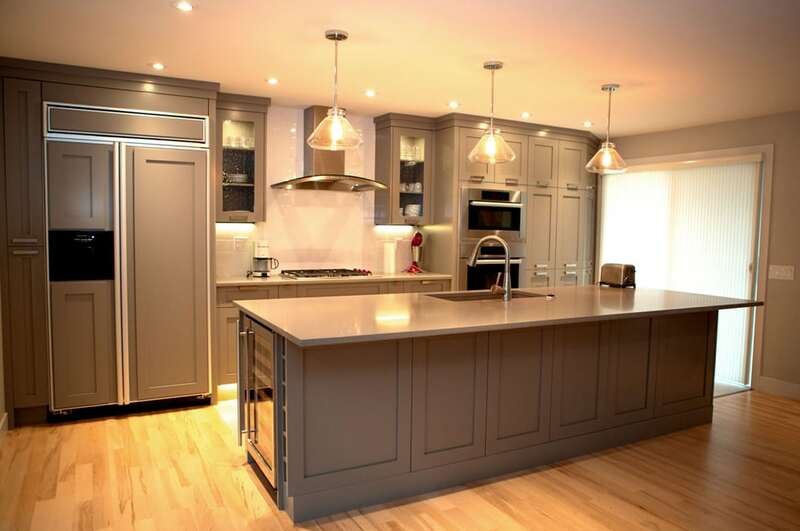 Double L & Island Kitchen Designs are an open concept kitchen that is well suited for modern kitchens. 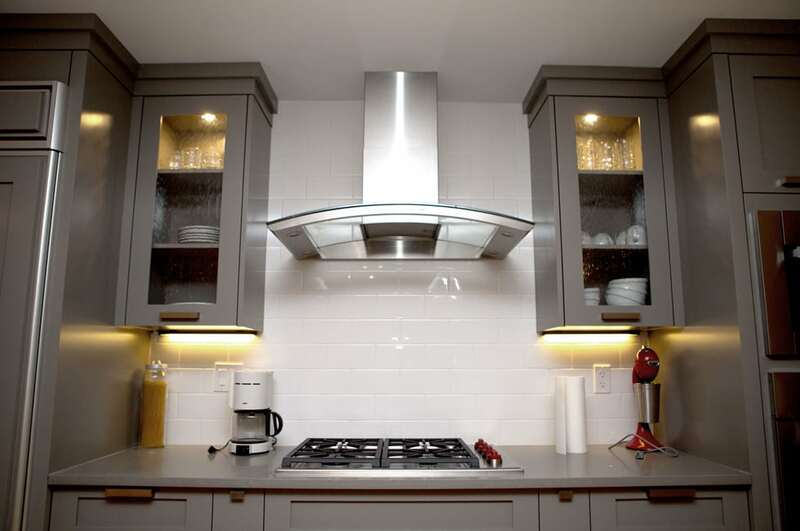 Whether you are designing a kitchen in a new apartment or considering a kitchen remodel in a luxury home, the types of kitchen design above are up for consideration if your space will allow it. 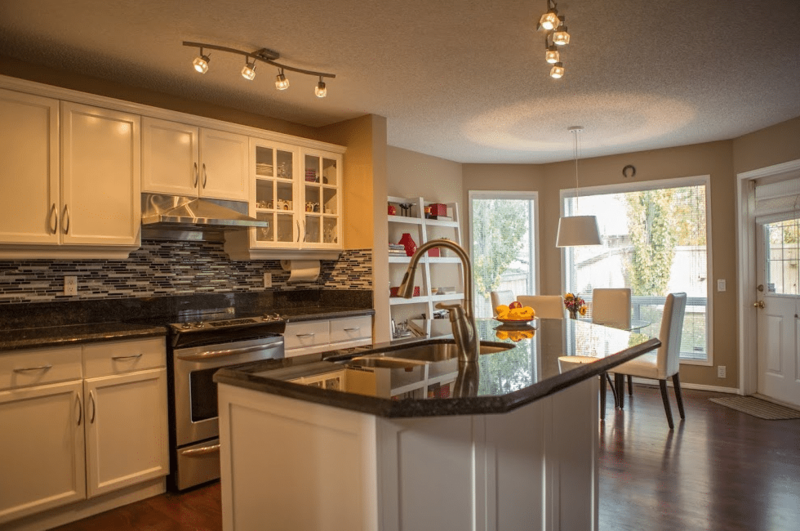 Some kitchens are limited by the size or pre-existing layout, but our team at Golden Acre Renovations can accommodate a variety of styles and floorplans. The best option is to work with a professional kitchen designer or cabinet maker to design the right kind of kitchen for you and your home. 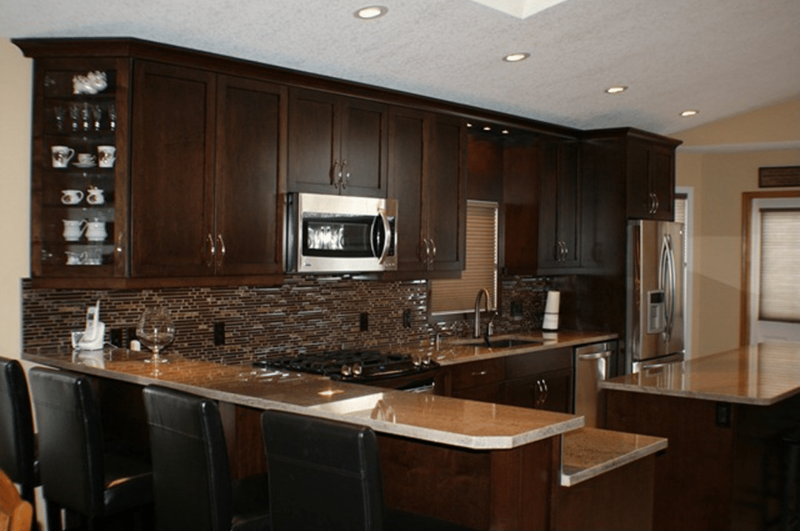 For professional kitchen renovations in Calgary and surrounding areas contact Golden Acre Renovations, we can help plan, design and renovate your kitchen.